Mutual funds benefit investors with limited knowledge, limited time, as well as those who like to invest their money wisely. This article will help you decide if mutual funds are indeed the best investment option for you. Investing in mutual funds is the talk of the town. Every individual wants to know, understand, and start investing in mutual funds. It is being considered as the best investment option because it’s simple and suits individuals of every age. Mutual funds benefit investors with limited knowledge, limited time, as well as those who like to invest their money wisely. However, there are certain areas of this investment that are perplexing and not clear. 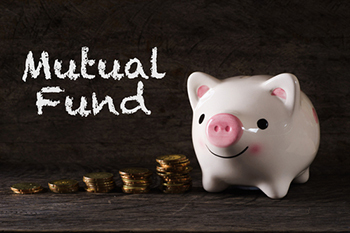 This article will advise you on how mutual funds can help you prepare for your future. Among reasons that make mutual funds favorable are the simplicity of investing, cost-effectiveness, diversification of funds, and professional management. These benefits contribute to mutual funds and make it the best choice of investment for the do-it-yourself investors as well as professional money managers. Investing in mutual funds can be a logical move for almost any kind of investor. From beginners to professional money managers, and every experienced degree of investors in between can take advantage of the features and benefits of mutual funds and apply them to their investment objectives. There are two ways to invest money in a mutual fund scheme: either you invest a lump sum amount or invest via systematic investment plan (SIP) route. SIP is a more favorable option, as you can start with an amount as little as Rs500 and enter the gateway to wealth creation. SIP is a more organized way of investing a fixed amount of money, on a fixed date (mostly on a monthly or quarterly basis), for a fixed period of time. This way, you can avail the benefits of rupee cost averaging. What happens in the stock market? An investor plans to 'time the market', so that the purchase rate is low and sale takes place at a higher rate. A SIP does this automatically. Therefore, SIP is considered the best way to invest in equity mutual fund schemes. There are no eligibility criteria for investing through a Systematic Investment Plan. People of any age can start investing in mutual funds through SIP. The earlier you start and the longer you stay invested, more will be the rewards of compounding and cost averaging. There are many advantages of mutual funds. Here, we have jotted down three key benefits that will help you invest better and take care of your financial requirements at various stages of life. This is the first rule of investing, for both big as well as small investors. Diversification of funds is one of the most important aspects of investing. Diversification means one should mix different types of investment options in one portfolio in order to manage risk effectively. If an individual wants to own a truly diversified portfolio, he/she may have to buy stocks with different capitalizations from different sectors and bonds with varying maturity dates from different issuers. This would mean digging deeper into various options to find relevant information, a very time consuming and stressful task. Mutual funds help investors diversify unsystematic risks by segregating the funds in a wider portfolio of stocks across different sectors. Therefore, the risk associated with mutual funds is much lower as compared to individual stocks investment. The basic principle of mutual fund investment allows you to diversify the asset allocation. Secondly, you do not need large amounts of cash to create a portfolio. You must check if the fund is sector-specific or industry-specific. For example, if you are investing in the pharma sector, a mutual fund might spread your money over twenty pharma companies. However, if the entire sector goes down, your portfolio may suffer. But if some companies are doing well while others are not, you will be averaged. Economies of Scale is another advantage. The concept of bulk buying advantage works in the purchase and sale of securities also. While buying MFs, transactions are made on a much larger scale and therefore, the transaction fee is relatively low, just as you get benefits when buying in volume. Investors can purchase mutual funds in smaller denominations, thus, allowing them to make periodic investments through monthly purchase plans while taking advantage of cost averaging. So, do not wait until you have enough money to buy higher-cost investments, you can get on the ladder right away with mutual funds. This, in turn, offers another perk - liquidity. One of the biggest advantages of mutual fund investments is liquidity, i.e. the ease with which an investment can be converted into cash and the ability to enter or exit without much hassle or loss of money. Even though your money is managed by a professional fund manager, it is always accessible. The structure of a mutual fund ensures that there is flexibility in accessing it. You may withdraw your investment amount partially or entirely even before the maturity date. Returns from debt mutual funds are not directly affected by withdrawal. That means that a partial amount can be withdrawn at any time and the mutual fund continues to function on the remaining amount. There is no loss of interest rate. Though penalties are charged in the form of an exit load -- ranging from 0.25% - 1% -- and only applicable for a time period less than one year. You can even transfer your investment from one mutual fund scheme to another, provided both are managed by the same company. So, if you may be required to break your investment before maturity or liquefy funds at short notice, then you should invest in debt mutual funds. But the basic principle remains intact. You must always give time to your investment for better results. You will not enjoy the benefits if you do not let the fund ripen till maturity. Do not make it a habit to break investments. Unlike stocks and exchange-traded funds (ETFs), which trade any time during market hours, mutual funds transact only once per day after the fund's net asset value (NAV) is calculated. Mutual funds arguably give the highest returns to the average investor. While traditional investments like gold and FD are stuck with single-digit returns, mutual funds manage to give returns in excess of 15% and even 20% if the selected mutual funds are good. Investments that give higher returns than mutual funds are either too risky or require you to gain certain skills.